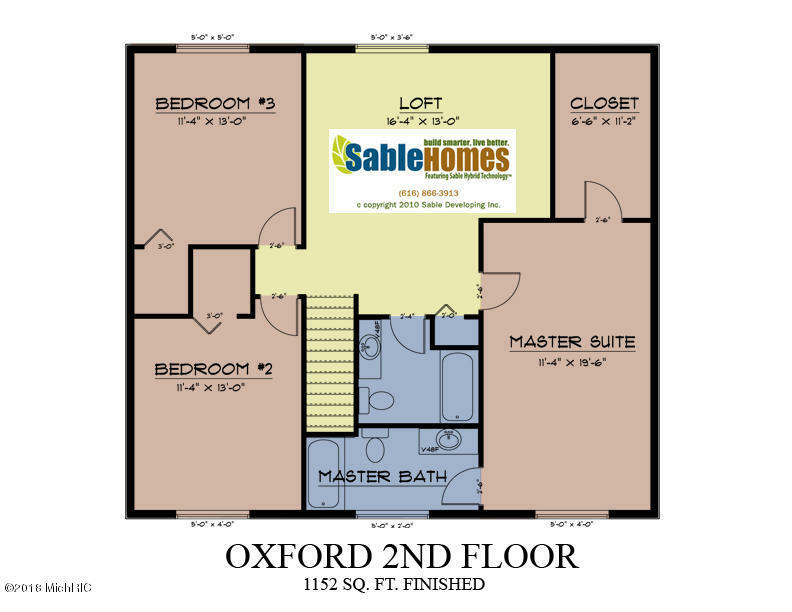 Class & Style describe our 2 Story Oxford Plan from Sable Homes in Middleville Frost Farms Estates. Features include Full Granite kitchen, Designer Back Splash, Island/Snack bar, Large Pantry, Main Floor Laundry, Stainless Steel Range, Refrigerator, Micro-hood, & Dishwasher. Office or Reading Room, Mud Room features Custom Lockers w/ Powder Room. Front Entry with Closet to Large Great Room with Wainscot & Crown molding in dining room. Upper Level includes 3 bedrooms w/huge Master Suite including Spacious Closet & private bath & a Loft! Basement is rough plumbed for future bath, could add family room & bedroom in the future. Lots of storage with a 3-stall garage. 1012 deck with stairs to large back yard. Interior photos from another finished Oxford model.